“SCR” is the name of a post-combustion technology treatment for diesel vehicles, which allows them to reduce their emissions of NOx (nitrogen oxides). SCR stands for Selective Catalytic Reduction. This technology requires the use of a reagent called AdBlue®. If you have any questions on this process or would like to arrange a booking, just email us or call 1890 42 52 62 . The nitrogen oxides are converted utilizing a synthetically produced, water-based urea solution which is stored in an auxiliary tank on the Touareg BlueTDI. The substance, consisting of 32.5 percent urea, is continuously sprayed into the exhaust stream before the SCR catalytic converter. What does it consist of ? It consists of water and a substance called urea (also called carbamide). Urea is an organic compound and it is injected into exhaust gas to reduce the very harmful NOx emissions of the diesel engines. 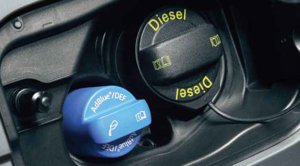 AdBlue is used to meet the Euro5 and Euro6 emission standards. To mix the right amount, you’ll need 32.5% urea and 67.5% deionized water, by weight. First, figure the amount that you want to make. Then, using a glass stirring rod, you can mix the urea and water until it’s fully dissolved. What is AdBlue for cars ? It’s used by many car makers, including Audi, BMW, Volkswagen and Mercedes. An SCR system uses a solution of urea and water, injected in tiny amounts into vehicle exhaust gases. Most Mercedes cars that display the BlueTEC badge and all Citroen BlueHDi models use AdBlue in conjunction with SCR technology. What is AdBlue diesel ? It is a high quality urea solution that is easy to use. AdBlue is the registered trademark for AUS32, or Aqueous Urea Solution 32.5% that is used with the Selective Catalytic Reduction system (SCR) to reduce emissions of oxides of nitrogen from the exhaust of diesel vehicles. 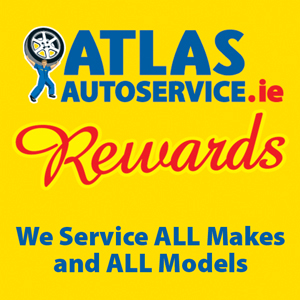 We have branches located throughout Dublin : Baldoyle, Blanchardstown, Drumcondra, Finglas, Fonthill, Kimmage, Kylemore, Stillorgan, Swords, Fonthill.